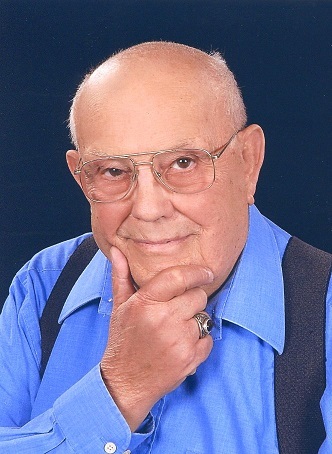 Jimmie L. Gibson died on Wednesday, November 21, 2018, at Swanhaven Manor Retirement Community in Saginaw, MI at the age of 86. He was born on July 7, 1932, in Essex, Missouri to the late Ray and Sina Glenda (Lewis) Gibson. Jimmie served in the United States Air Force for 22 years, with an additional eight years in the Air Force Reserves. While stationed in England, he met the lovely Greta Rosemary Coles, whom he married on November 28, 1953. After his career with the Air Force, Jimmie worked at Peet Packing in Chesaning. Jimmie loved jigsaw puzzles and mystery novels, and he enjoyed traveling, especially to visit Greta’s family in England. He was an active member of many community organizations, including the Lions Club, Kiwanis Club and Chesaning Historical Society. He also enjoyed volunteering at the Owosso Memorial Hospital and hosted 25 international exchange students through the Lions Club. Jimmie was also preceded in death by his wife, Greta, on February 13, 2015; brother, George; and a sister, Doris. He is survived by sons, Steven (Beryl) Gibson and Dean (Judy) Gibson; daughter, Alison Gibson; granddaughters, Elizabeth, Christine and Katherine; and nieces and nephews. A memorial service for Jimmie will be held at 11 a.m. Saturday, December 15, 2018, at Trinity United Methodist Church in Chesaning with Rev. Tim Woycik officiating. Visitation will be held at the church on Saturday from 10 a.m. until time of services at 11 a.m. Inurnment next to his wife will take place at 11 a.m. Monday, December 17 at Great Lakes National Cemetery in Holly with full military honors. All those who would like to celebrate Jimmie’s life are welcome to attend those events. Memorials in his memory may be made to the ASPCA or the charity of one’s choice. You may light a memorial candle or share a condolence at misiukfuneralhome.com.